Article by Tom Hartley. Edited by Liz Goodwin. Additional Research by Tom Hartley. While most attention on Africa currently focuses on events in the Islamic north – the democratic liberation movements sweeping across the Mediterranean coast, Libya’s civil war, and the historic referendum on independence for South Sudan – the same problems in Sub-Saharan Africa continue to persist. One such case is in northern Uganda, where Barack Obama’s decision to send 100 US troops in October 2011 looks set to bring to the fore a problem which many thought has been winding down in the past five years. Since the mid-1980s the Lord’s Resistance Army and it’s radical religious leader Joseph Kony have terrorised northern Uganda, and spread into neighbouring Democratic Republic of Congo, Southern Sudan and Central African Republic. In attempting to create a new government based on the Ten Commandments, Kony’s forces have broken every one, with a rap sheet including murder, abduction, mutilation, sexual enslavement, and the internal displacement of over 2 million Ugandans. 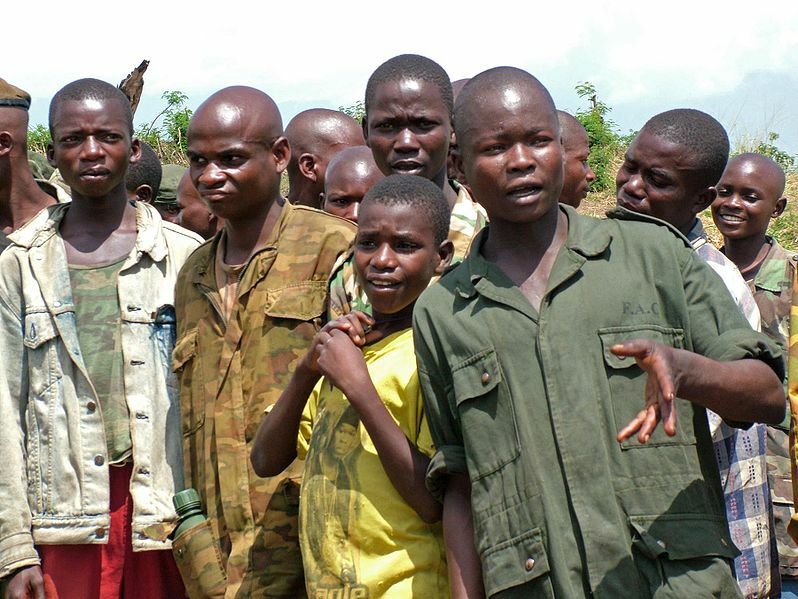 The LRA is also infamous for its use of child soldiers, and has become the most well known example for discussing the growth of this modern phenomenon in the 21st century. 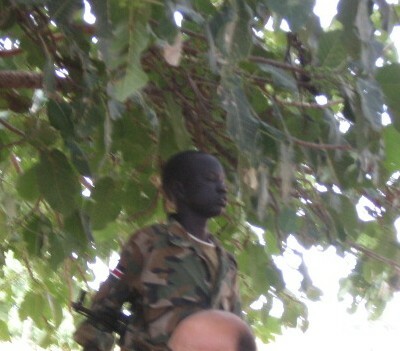 Reports estimate that the number of children captured by the LRA and forced to work as soldiers currently stands at 30,000 over the past two decades. As if the fear of kidnap and forced removal isn’t bad enough, captives are often initiated by being forced to kill their own parents, to end any hope of a return to normal civilian life. This draws horrifying comparisons with the Rwandan genocide in 1994, in which Hutu children were encouraged to turn on friends and relatives due to an ethnic difference they had previously not considered important. Despite the 1999 African Charter of the Rights and Welfare of the Child, which prevents the use of people under 18 in the military, the LRA’s example has been used across Africa, by both government and revolutionary regimes alike. Liberian warlord Charles Taylor was accused of using child soldiers to enforce his dictatorship, and later fight for the revolutionary RUF in the Sierra Leone civil war. By the turn of the twenty-first century the use of children as soldiers appeared to be common practice across the majority of African states. At the height of the Second Congo War, which lasted from 1998 to 2003, approximately 30,000 child soldiers were employed in a war that directly involved eight African states. With fighting having lasted over twenty years, and Joseph Kony having evaded an ICC arrest warrant issued in 2005, there seems little hope that those children captured by the LRA can ever return to a normal life. In a 2000 report, Graca Machel argued that without any genuine alternatives, former child soldiers were likely to return to the military in the future. However, there is one historic example that offers a beacon of hope to Africa’s current generation of child soldiers. Predating the emergence of the LRA, one of the earliest known examples of child militias occurred in the newly-independent Mozambique. Like in Angola, independence had come late to the former Portuguese colony, and, like in Angola, the ruling party, FRELIMO, had a distinctly Marxist-Leninist philosophy. It also supported exiled rebels from Rhodesia (now Zimbabwe) and apartheid South Africa. Not long after independence, a rival party, RENAMO, was established, seeking to protect Mozambican capitalists’ interests and sponsored and supported by the Rhodesian and South African governments. The new nation became a stage for the USA and USSR to wage their Cold War by proxy, and it was into this melting pot that RENAMO’s notorious use of child soldiers took place. In a civil war that raged from 1976 to 1992, it is estimated that at most points around one third of all RENAMO soldiers were children, and that most of these had been abducted and forced to fight. Parallels can be drawn here between the RENAMO generation and those children currently forced to fight for the LRA – the killing of parents, the abduction of other child soldiers, and the beating to death of fellow captives who rebelled. Yet what are most remarkable are not the similarities, but the rehabilitation Mozambique’s former child soldiers have undergone in a period when the practice has spread across Africa. Since the 1992 peace agreement and first elections in 1994, Mozambique has undergone a radical transformation. Both FRELIMO and RENAMO, no longer with the support of Rhodesia and South Africa, have moved more towards the centre ground, and now form the main two parties in a multi-party democracy. Four elections have been held at five-year intervals, and despite FRELIMO increasing its majority each time the country remains peaceful. A study conducted into former child soldiers who lived at the Lhanguene orphanage in the Mozambican capital Maputo shows what can be achieved given the opportunity. Despite the psychological damage, the prevention of a normal transition to adulthood, and the political parties’ denial that children were ever officially recruited as soldiers, Mozambique’s ex-child soldiers have shown incredible resilience. With no real ideological momentum behind it, many ordinary RENAMO soldiers did not form any strong allegiance to the party that forced them to fight and kill their countrymen. Almost twenty years of peace have allowed them to return to a normal way of life, with normal hopes and aspirations. For those children still forced to kill their families and peers in northern Uganda and across Africa today, Mozambique sets an example of what can be achieved. However the military use of children will not stop while war still occurs; the failure of the 1999 Charter proves that. Only peace can save African children from a life in the military and help those who have already lost their childhood return to a normal life.